Moz is one of the world’s leading tools used to monitor your website’s search engine optimization. SEO is all about improving upon what’s already there in order to get the most out of it; Moz dashboards are the perfect tools to enable you to see what’s working and what needs to be worked on. Create your Moz dashboard today! This historic widget shows how well your website ranks on search engine result pages on a scale of 1 to 100. 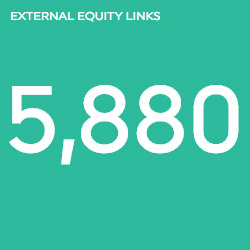 This number widget shows how many external backlinks your site has. 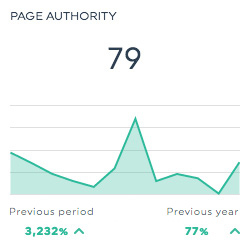 This historic widget shows how well a particular page ranks on search engine result pages on a scale of 1 to 100. This historic widget shows how many websites contain backlinks to your site. Want to see all our Moz preset widgets? This indicates the type and quality of link equity your site has. This shows how well your page ranks on search engine result pages. This shows how many other sites contain backlinks to your site. This shows how well your site ranks on search engine result pages. This indicates not only the type and quality of link equity your site has, but also the “trustworthiness” of the linking sites. This shows how many external backlinks your site has. 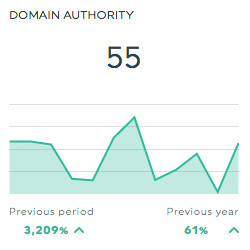 This shows how many external backlinks your subdomain has. This indicates the MozTrust level of your root domain. 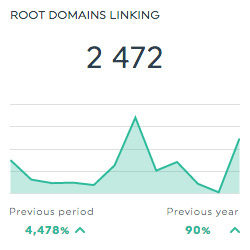 This shows how many external backlinks your root domain has. This indicates the MozRank of your root domain. Want to see all our Moz metrics, segments & dimensions? How do I create a dashboard using Moz?